Maelstrom, an attraction that opening in 1988 as part of the Norway pavilion at Epcot Center, closed today. Over the next year or so Maelstrom will be converted into a Frozen themed attraction. I realize that I've been very vocally upset, and have general distrust of the Disney company in regard to this decision, but I'd like to reiterate how special this attraction (and pavilion in general...) is to the Disney Hipster Blog. When I started going to Disney World as an adult, a mere eight years ago, I was a jaded 22 year old, who had no interest in Disney. But upon my first visit there were certain things that appealed to my specific sensibilities. Carousel of Progress, Ellen's Energy Adventure, Swiss Family Treehouse...when we started the blog most people assumed these were ironic reapropriations. However, my appreciation was among the sincerest feelings I'd ever had. (keep in mind, I was a super bitchy gay 22 year old...sarcasm was king queen.) Right in the middle of these "misfit" attractions was Maelstrom. A ride that very few casual guests even register in the top half of their visits...though die hard Disney park fans inexplicably rally behind. 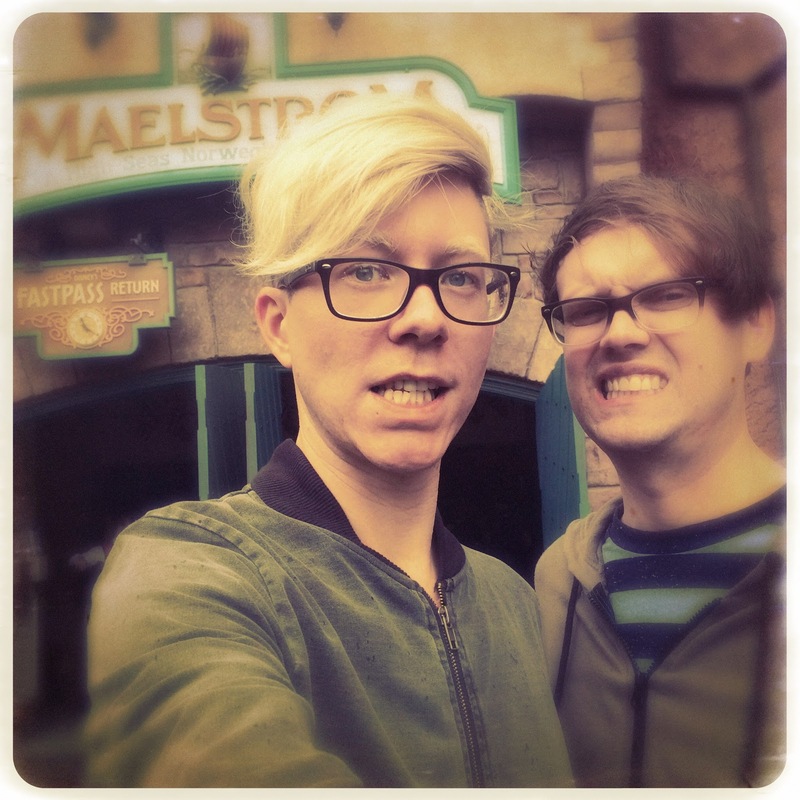 Its easy to think that the communal love of Maelstrom comes from a sarcastic irony laden place...with its "you are not the first to pass this way" ethos connecting the proverbial Disney community. In a way its very hard to deny that people felt bad for "poor Maelstrom." A great example being the notedly outdated film that succeeds the actual attraction. How many times have guests (and ourselves) simply walked past the film, whether it's already playing or not, to simply move on to the next World Showcase sight? It is very easy to rally behind an attraction that people skip in lieu of boredom. However the fact is this film didn't age quiet as well as the attraction, and hence isn't being mourned on the same level. Maelstrom was sensory perfection. 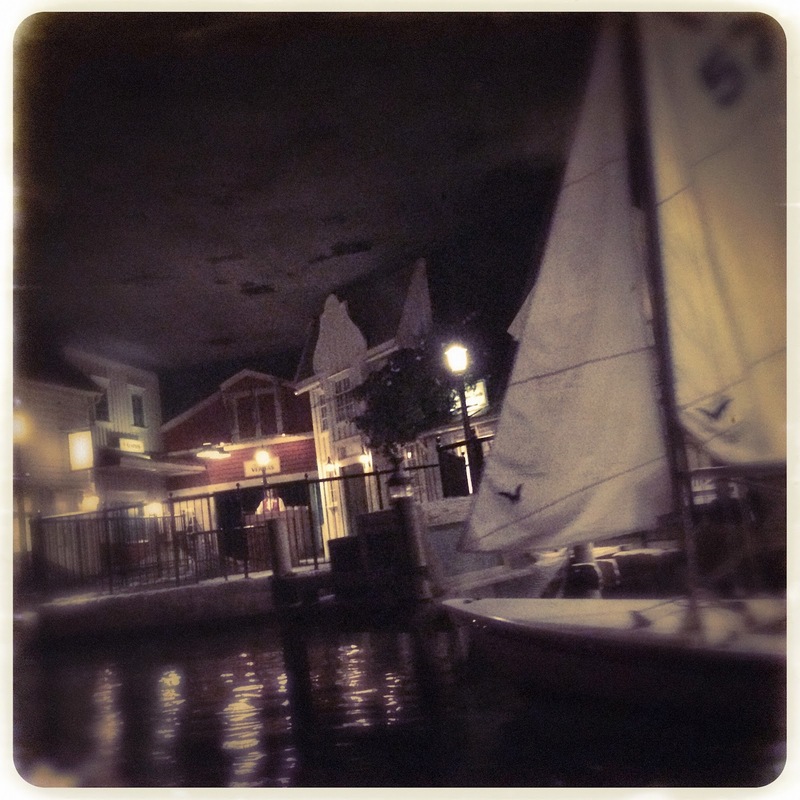 The "Maelstrom feel" was prevalent beyond the attractions entrance, bleeding into the entirety of the Norway pavilion. As soon as you rounded the corner past the Kringla Bakeri and caught wind of the gorgeous waterfall, epic building facades, and intriguing signage you would be hard pressed not to join the queue. And this is where Maelstrom truly begins. Yes, the majority of this short queue was simple switchbacks...but the Norwegian navigational mural to the right, and notorious Norway tourism mural to the left. (Maybe the most epic hidden Mickey ever???) This queue defined anticipation on many drunken nights, for myself and gaggles of Epcot visitors. And here is where you first encounter the smell. A specific blend of old stagnate water, chlorine, resin and rubber props...this smell was everything. And it carried through the next few minutes of your life. 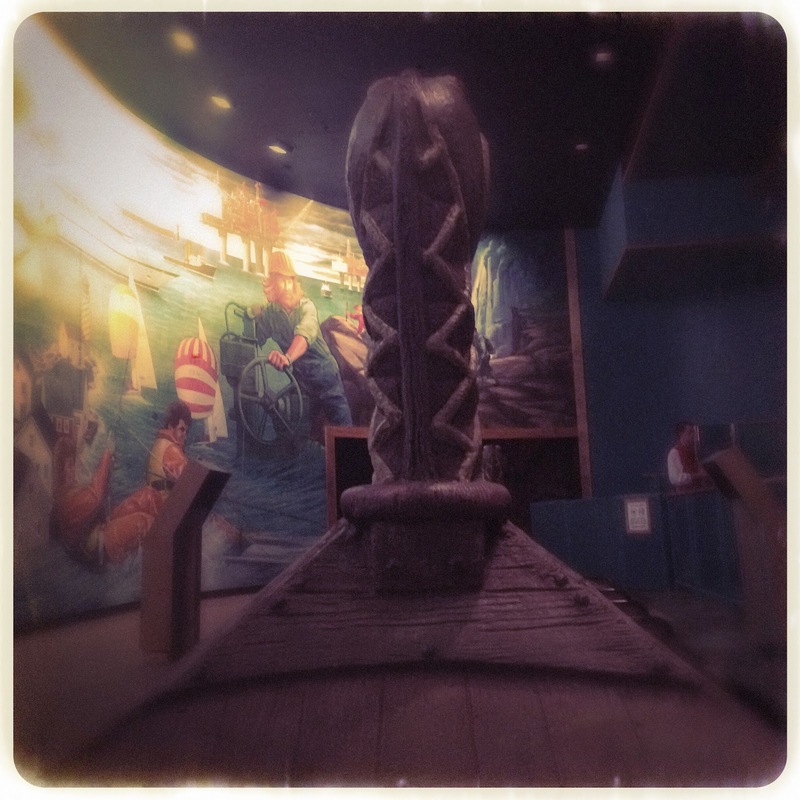 As you embarked on your adventure you would board a gorgeously sculpted viking ship. This ride vehicle being among the most unique in the Disney cannon...in line with the Doombuggie's from The Haunted Mansion and pirate ships from Peter Pan's Flight. Though any seat among this vessel was amazing, there was nothing more perfect than the front row directly behind the bow of the ship. The visuals account for plenty of this sensory perfection as well. Odin's eye spilling gorgeous shimmering lights as you ascended the only lift on the attraction, while narrating the iconic opening lines, is perhaps the attractions defining moment. Show scenes depicting a truncated history of viking settlers, and troll mythology make up the bulk of the attraction thereafter...filled with catchy and charming dialogue, that will inevitably enter the lexicon of your day to day vocabulary. As you continued on your journey there are miss proportioned polar bears, even more trolls, and an always thrilling drop into the north sea and its ridiculous oil derricks. This final scene is the culmination of perfection. Dim, noisy, moist perfection. "Norway's spirit will always be adventure." I wish my sentimentality stopped at the actual ride portion of the attraction, but the unload area holds a place in most fans heart as well. This gorgeously recreated Norwegian fishing village straddles the line between daylight and dusk in a morbidly Disney fashion. In addition to the facades, there are sound effects emanating from the buildings adding to the ambiance. If I could recreate one area from Maelstrom in my own home, it would be this. Sight, sound, smell, perfection. I've never been one to speculate on a Disney project before its completion. For all I know the Frozen attraction replacing Maelstrom will be amazing, and I'll forget about Maelstrom in due time. However, this scenario seems highly unlikely. Though Frozen is a good movie, it seems awfully short sighted to force it upon a pavilion where it barely fits and only vaguely resembles. A best case scenario bestows a light overlay in the style of the nearby Gran Fiesta Tour... which would theoretically save the "feel" of the attraction. This seems highly unlikely however. With that said, we bid you the most humble and heartfelt adieu, Maelstrom. You were the "little ride that could" and we will never forget the joy you brought us. Spot on and well executed. Thank you! Very well said. I'm definitely going to miss this ride and don't have optimism that Disney knows what it's doing with EPCOT. Great post! Maelstrom was always a favorite. And even with the hopelessly outdated movie, I always left it actively wanting to visit Norway. Maybe a Frozen attraction can elicit the same response, but I doubt it. Then again, maybe I'm no longer the target audience. Either way, RIP Maelstrom. I also traveled around Norway some time ago. Of course it was very difficult for me to pass all the exams, because I missed a lot of classes. I wasn’t sure I could afford writing service, but needed it badly. Cheap writing service of buyanessay.co rates were so reasonable that I have recommended you to all my friends. Told them with the money we could save, we could now go out and finally have some fun! Who was lucky enough to visit Norway will never forget her fabulous atmosphere. Especially if it's winter and festive time. As if he got into a fairy tale in the possession of the Snow Queen where a quick deer would carry a sleigh through a dark forest. I even wrote in my Do My Homework | Online Homework Service For College Students blog about a trip to this wonderful country.